Frank Yount, Godfather of Beaumont. After its “Second Spindletop” oil strike of November 14, 1925, the Yount-Lee Oil Company revitalized the Texas Gulf Coast which had suffered economically when the production at the original oilfield simply played out. As Yount-Lee prospered and grew, so did the population of Beaumont and the surrounding areas.The new oil boom produced more jobs and greater income, an increase in deposits among the five local banks, and a record in building activities. 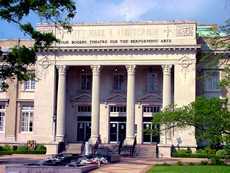 In 1927, announcements were made concerning large Beaumont projects, such as the Jefferson Theatre, the Goodhue Building, the American National Bank Building, the new city hall and auditorium, the Jefferson County Courthouse, the St. Therese Hospital, the Edson Hotel, the LaSalle Hotel, the Y.M.C.A. building, the post office and federal building, a new Beaumont High School building, and numerous improvements at other schools. Churches and apartment houses sprang up all over town, and residences were completed in record numbers. The city also built a new central fire station, a new jail and police station, and spent thousands on street and park improvements. The building boom continued well into 1929 when at least eighteen apartment projects and sixteen commercial buildings were begun. When the Great Depression hit, however, even the strong oil economy could not sustain the fantastic growth that Beaumont had experienced. Throughout the years, Frank Yount, along with other officers and major stockholders of the company, give direct aid to several worthwhile causes, among them raising funds to build a new Masonic Temple, and contributing to the Beaumont Community Chest. 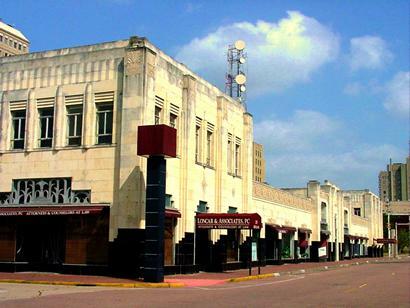 But the most celebrated demonstration of Yount-Lee community involvement occurred when the City of Beaumont, hard-hit by the Depression and loss of tax revenue, could not pay approximately two hundred employees of the General Department, consisting of city officials, clerks, policemen and firemen. The local banks turned away a desperate Mayor E. A. Fletcher, who went to see Frank Yount on August 6, 1932. After hearing the mayor’s case, the oilman agreed to loan the city $60,000 to be repaid when tax revenues for the current year were received. But these loan proceeds did not last long, however, because by October 31, 1932, the general fund was depleted once more. Fletcher succeeded in borrowing another $22,000 from Yount who added the stipulation that paychecks be distributed prior to Christmas.